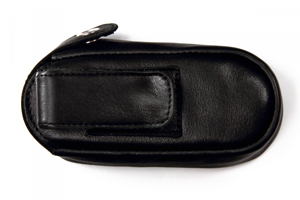 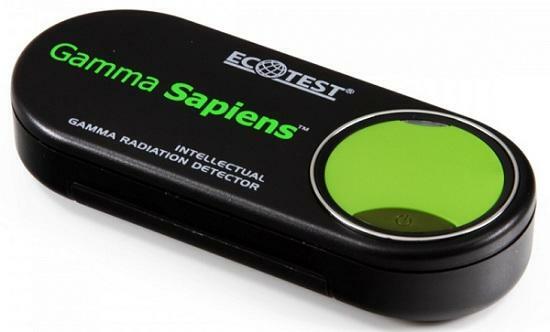 "GS Ecotest" and "Gamma Sapiens" will turn your smartphone into the dosimeter! 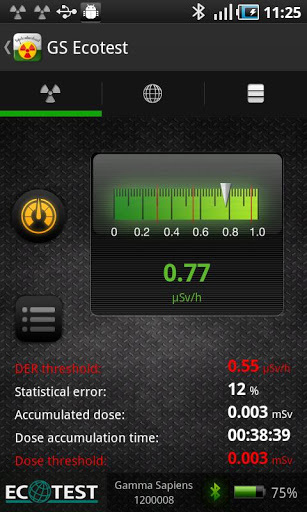 The “GS Ecotest” application and the “Gamma Sapiens” portable radiation detector will turn your smartphone or tablet into the dosimeter! 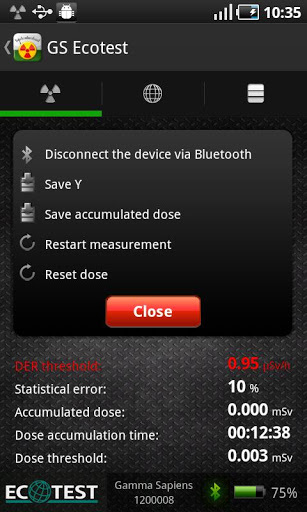 Measurement results are continuously transferred from “Gamma Sapiens” to “GS Ecotest” over the Bluetooth interface. 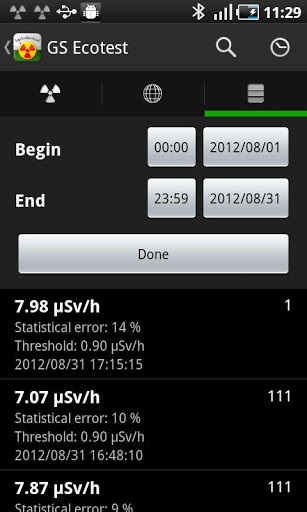 Radiation measurements allow the operation of other smartphone features, such as making and receiving calls, sending and receiving SMS, setting up and using other applications. 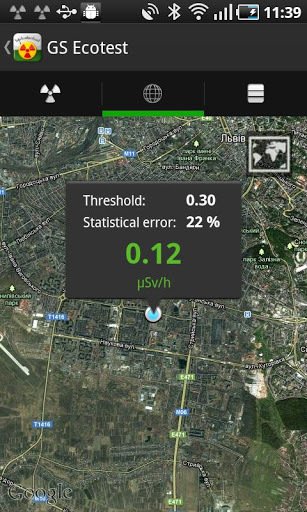 Take control of the radiation level around you and track the dose accumulated in your body using “Gamma Sapiens” and “GS Ecotest”! 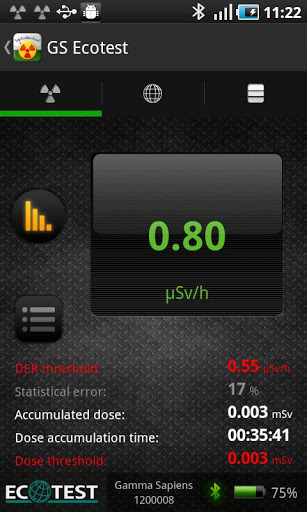 - work with other well-known “ECOTEST” TM dosimeters – РњKS-05 “РўР•RRРђ” and RKS-01 “SРўРћRРђ-TU”. 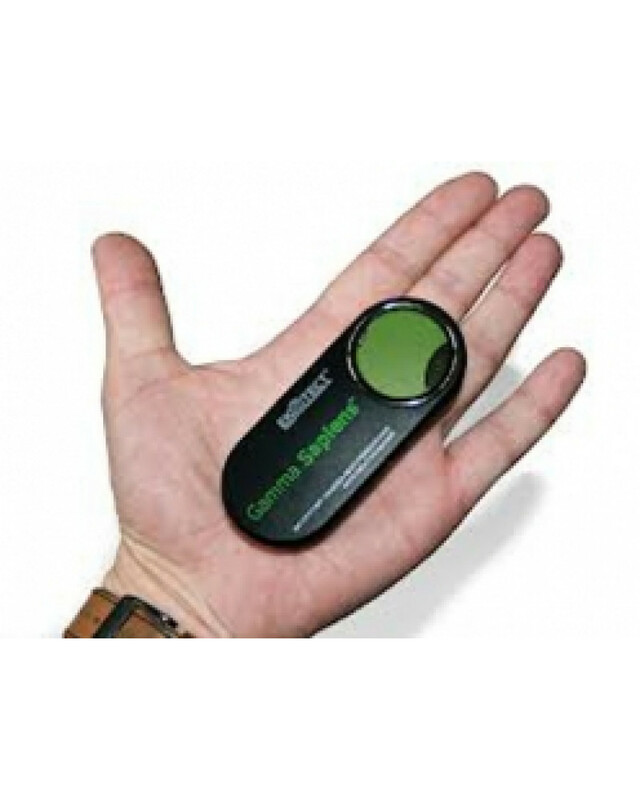 - weight without batteries – 50 g.
The Gamma Sapiens intellectual gamma radiation detector is intended for owners of Android OS smartphones and tablets to measure the radiation level and dose in everyday life. 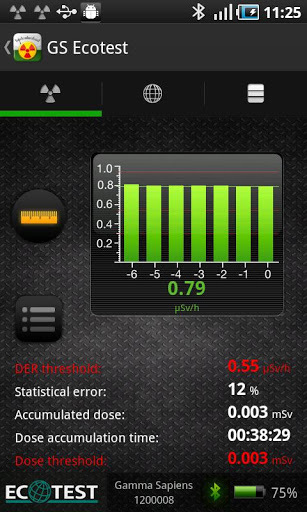 Gamma Sapiens continuously transfers measured values to smartphones and tablets via the Bluetooth interface by means of GS Ecotest Application. The information is displayed in a user-friendly way and stored in a special database for its later viewing. 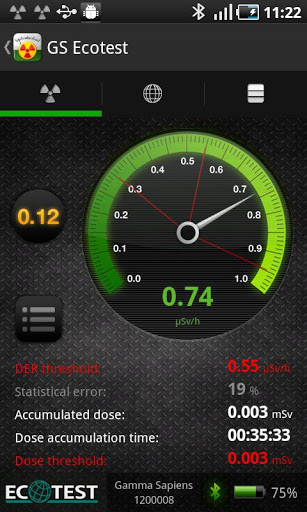 GS Ecotest is available for download at Google Play for free. 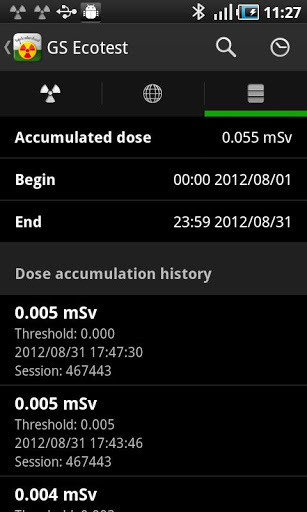 Dosimeter Gamma Sapiens + leather case + english manual in set.